NetEase’s Fortnite copycat BuildTopia, previously named FortCraft, has racked up more than one million pre-registrations ahead of its launch in China. The title was first announced in 2018 and described as a “free-to-play crafting survival battle royale”. As in Fortnite, players can build their own structures, while the art style is also similar to Epic’s hit. According to Niko Partners analyst Daniel Ahmad, the title takes cues from both Fortnite and Respawn's Apex Legends and is currently in closed testing. A full launch may not be too far away. NetEase recently obtained a license to release BuildTopia in China, beating Tencent and Epic Games to the punch as Fortnite still awaits approval. 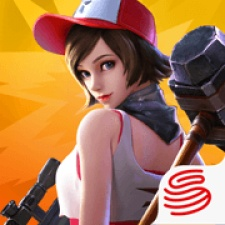 Getting to market quickly as previously proven fruitful for NetEase, with mobile battle royale hit Knives Out becoming a serious earner in Japan in particular. That title is estimated to have generated at least $465 million in 2018. NetEase will be at Pocket Gamer Connects Seattle, which takes place on May 13th to 14th.